YOU GET THE REAL DEERE! 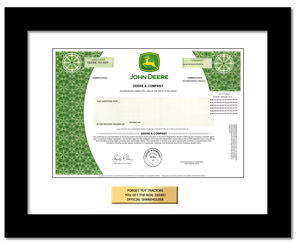 Deere & Company (John Deere) manufactures and distributes a full line of farm, construction, and forestry equipment, and related service parts. Lets face it, some people are just meant to own John Deere stock!